Commander Shepard set out on his quest to save the universe back in 2007. That was the year Mass Effect was released, with its story about an ancient, unstoppable race of mechanical beings coming to devour every form of intelligent life in existence. They were called the Reapers, and with this year’s release of Mass Effect 3 (PC, Xbox 360, Playstation 3), they’ve finally arrived. 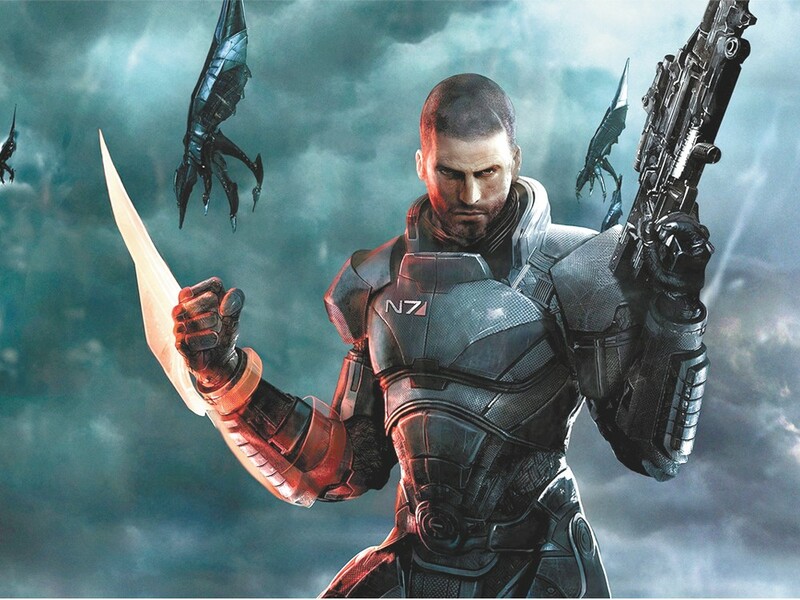 Each of the three games in the Mass Effect Trilogy can be played on its own. But they tell a single 75-plus-hourlong story, starring a single main character. The same Shepard that players create in the first game can be carried — flaws, advantages and backstory intact — through the entire trilogy. When I played the games individually, this seemed like a gimmick. But when I played the entire trilogy in sequence, it became apparent that the most insignificant choices I made at the beginning of the first game had trilogy-changing ramifications by the conclusion of the third. The first Mass Effect introduces the game’s setting, which is the whole universe. From cloud-like galaxies to solitary planets spinning at the edge of solar systems, Mass Effect makes it clear that I’m operating on a grand scale. But it’s still a conventional role-playing game, with companions joining Shepard almost accidentally, and the plot explained with a lot of talk. Mass Effect 2, which is perhaps the best of the lot, expands the game by developing the characters. By this time, Shepard has discovered the threat of the Reapers, and he launches himself on a suicide mission to stop them. In order to do this, he needs to build a team that he can trust to the ends of the universe. Most of those characters return in Mass Effect 3. Some of them linger in Shepard’s memory and haunt his actions. Others join the battle. The only flaw is that the characters and story are overwhelmed by the trilogy’s climax of “our guns vs. their guns.” By the time the big battle rolls around, there’s little room for subtlety. But in this case, the destination doesn’t matter. What makes the Mass Effect Trilogy so epic is the journey.